You also want to be memorable, and impressive. After all, most potential employees are not hired on the spot. They are hired upon reflection, after many other interviewees have come and gone. 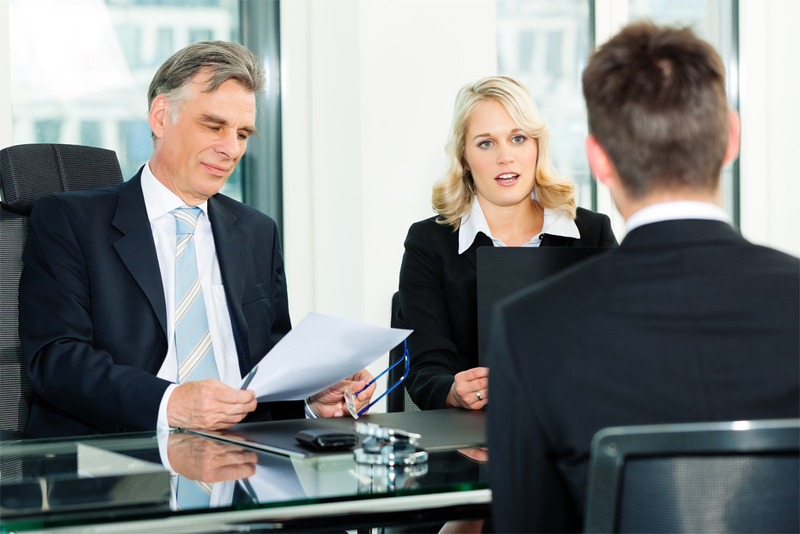 They are hired after references are checked and sometimes, after a second and third interview. Your goal, then, is to catapult yourself to the top of the heap. How do you do that? One of the ways is to prepare for the interview meticulously….as if a reporter was interviewing you. As a former TV anchor and reporter myself, I encourage my clients to take a page out of media training. Find out about the company you want to work for. Today, with the Internet, that’s a cinch. While employers are looking for many things in a new employee, the one thing that never fails to impress them is a potential employee’s knowledge about their company. You should, however, keep your digging low-key. You don’t want to come across like an FBI-profiler…but a few knowledgeable tidbits will go a long way. How else can you become “the one?” There are several ways to leave a lasting impression: and they all involve communication. Time is money for these people. So, those who can tell their story briefly and effectively are more valuable, and hire-worthy, than those who can’t. Take the time to know your own story…your background, education, work experience; be able to tell it effortlessly. If there are noticeable “blemishes”…like a work gap, a firing, or very few references, find reasonable responses for those questions marks. Honesty is the best policy. Ask some key questions yourself. But most of all, listen carefully. And don’t be a blabbermouth. No body wants to hear someone talking all the time. Instead, keep your responses brief and focused. Finally—there’s personal style. We all know that hiring someone is a very personal decision. You may be the greatest candidate ever—and still not get the job. I always think if that happens—it was probably not the job for you anyway. There WILL be another opportunity. And that brings me to positive thinking. There is no substitute for a positive outlook and an energetic and captivating delivery style. Your posture should be straight, your voice…easy-to-listen-to, and your facial expression, upbeat and enthusiastic. You need to come prepared, polished and professional. Your outfit doesn’t have to be couture, just neat and clean. You need to stay positive—no matter what. And if you don’t get the job this time—you will the next time.